Understanding the motives of spectators to participate in a basketball match is important for increasing the number of spectators. Main purpose of this study was to analyze the selected variables that affect on spectators’ participation in basketball matches. Supporters of two Turkish professional basketball teams formed the sample of the study (n = 259). Spectators’ Participation Decision Scale was used to assess the factors that make participants decide to attend a match. Descriptive and Factorial MANOVA analyses were used in data analysis process and the analyses were conducted by IBM SPSS 22 package program. MANOVA results showed that there is a significant difference between attending type and factors (F (1, 212) = 2.83, p < .05), and two main effects were found between attending type variable and socialization opportunity (F (2, 215) = 7.19, p < .008). Results indicated that taking part in basketball organizations with friends is the most preferred attending type and spectators like to be with their friends in basketball matches. As a conclusion; in order to attract more spectators to the basketball venues, basketball managers should organize basketball venues in terms of spectators’ needs. ISNAD YILDIZ, Alper , Koçak, Settar , Altunsöz, Irmak , Devrilmez, Erhan . "Spectators’ Participation Decisions in the Basketball Matches". 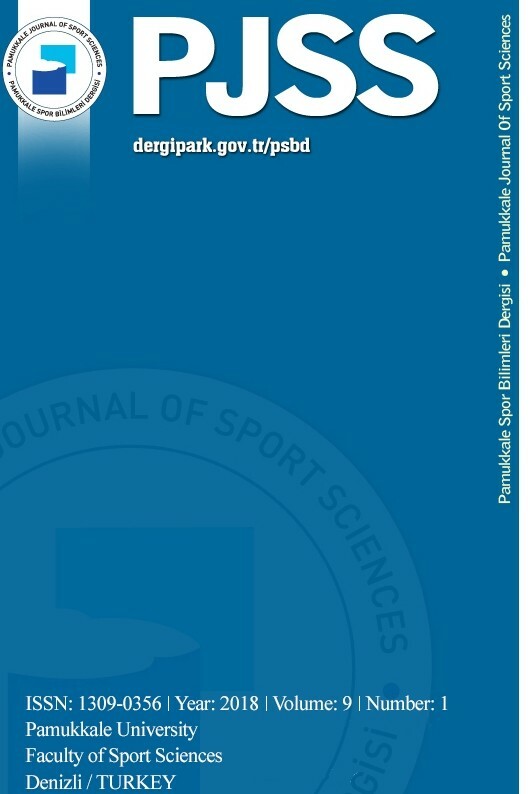 Pamukkale Journal of Sport Sciences 6 / 1 (January 2015): -.